Have you ever walked past an estate agents and browsed properties displayed in the window, only to find that one or more has already been snapped up? Printing property listings for a window display is out of date and a wasteful use of paper. 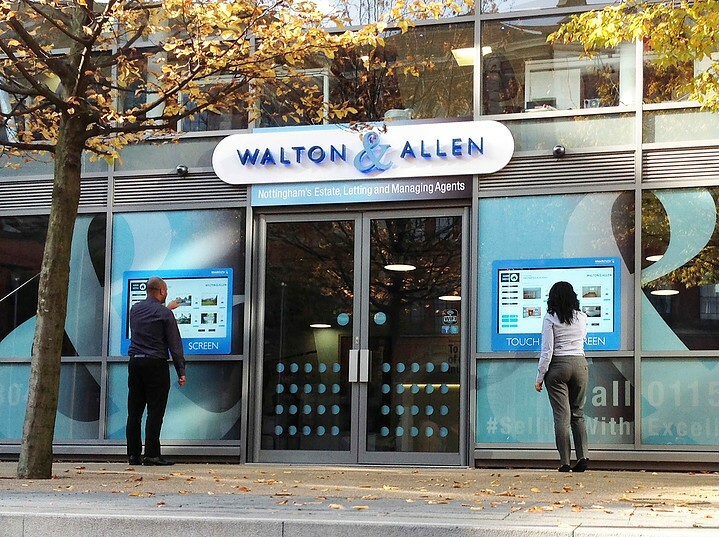 Walton & Allen have moved on from this archaic setup with brand new touch screen technology so you can browse properties anytime, day or night, and it’s updated everyday so you know the status of the property you’re look at, whether it’s let agreed, under offer or already snapped up! Customers can access our full portfolio of homes both for sale and to let. You can do this 24 hours a day with just a touch of your hand. But we didn’t stop there, once you find a property you like you can arrange a viewing, directly email property details to yourself and if you’re looking to sell your home – arrange a valuation. Since moving to our brand new office near the Lace Market tram stop our iLounge has been extremely popular. It has 5 multi interactive touch screens in a modern contemporary finished lounge area – and if you’d like a hot beverage whilst you browse it’s completely complimentary. Did we mention free Wi-Fi too? So if you want to share what you’re looking at with a friend or spouse you can do so without using your precious data allowance. Why should looking for a new home be tedious? We try to make it as relaxing as possible so you can fully immerse yourself in the excitement of a new place to live. We are extremely proud of our iLounge and new tech, we feel it provides the perfect balance between relaxation whilst you’re browsing but you also have our experienced staff on hand to answer any questions you may have, and as always we are more than happy to help. 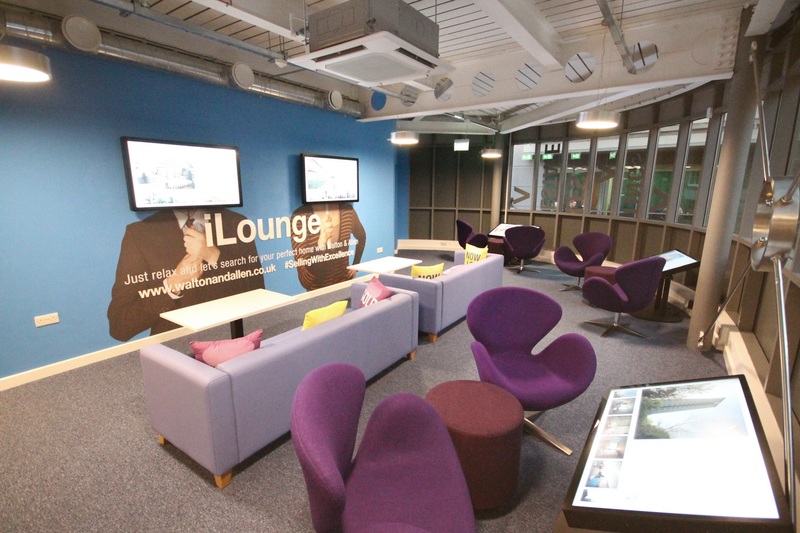 Your new home awaits, why not visit our iLounge today?